Priceless picture! They look so peaceful. 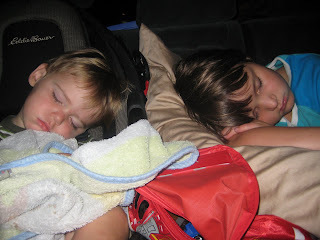 Yeah -- because Big can be somewhat cantankerous in the car, we were surprised to find them both out like that. Had to capture the peace. That's a fabulous picture... you just want to stop and soak it all up. They are gorgeous.